PLANNED CHANGES TO the national curriculum will see all primary schools having to set aside time for new classes on religion and ethics. 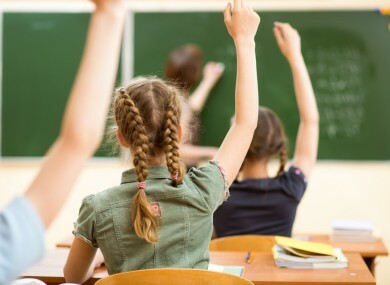 The National Council for Curriculum and Assessment (NCCA) has launched a consultation paper on the proposed subject – Education about Religion and Beliefs and Ethics – which it says will help children to understand different worldviews. The new curriculum will be taught separately to existing religious classes in denominational schools, the vast majority of which are under Catholic patronage. The NCCA will brief the Department of Education next year on recommended time allocations for subjects. Faith-based classes in denominational schools are currently developed by school patrons. Up to two-and-half hours a week are reserved for these classes, which include preparation for the sacraments of first holy communion and confirmation. Instead of focusing on one religion, the new programme will teach students about major faiths and traditions from across the world, including secular beliefs. However, the plan could face criticism from primary school teachers who say the current curriculum is overcrowded. Email “New religion curriculum to shake up classes at Catholic schools ”. Feedback on “New religion curriculum to shake up classes at Catholic schools ”.